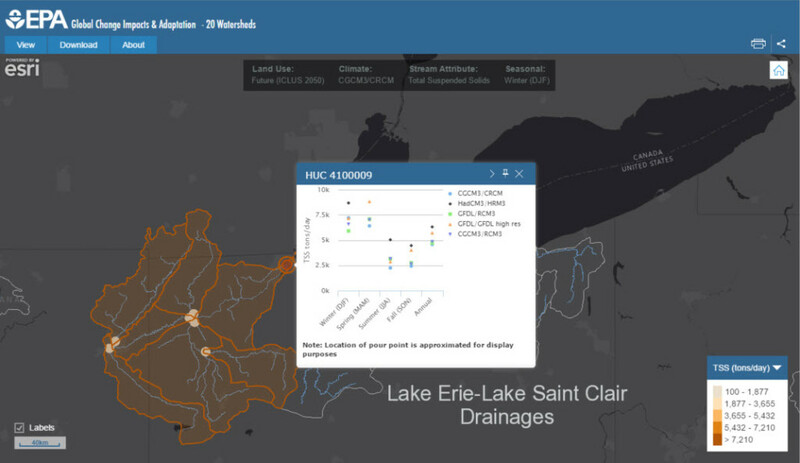 EPA’s Global Change Explorer provides data visualization across all aspects of environmental change and is now available to the public. Blue Raster worked with The Environmental Protection Agency (EPA) to redesign and improve their Watersheds mapping application, one of the three modeling projects which focuses on the largest 19 watersheds in the United States and how these watersheds are predicted to change under various climate change and urban development scenarios. 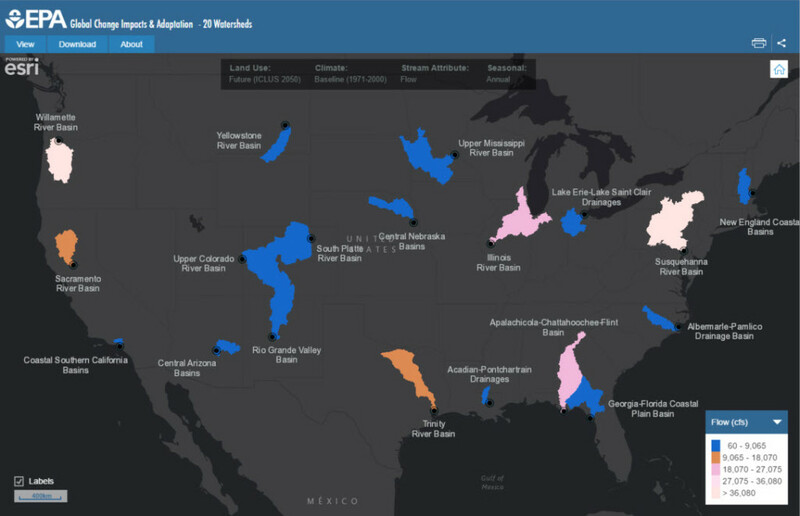 The application explores trends in sediment levels and nutrient loading, enabling viewers to visualize the sensitivity of watersheds nationwide. The sites selected represent a range of geographic, hydrologic, and climatic characteristics of the US. While several water quality measures are included, the project has particular emphasis on stream flow, nitrogen, phosphorous, and sediment loads.